It is with great pleasure that we announce Cindy Koeppl as Abria Pregnancy Resources’ next Executive Director effective March 1, 2019. Koeppl embodies the leadership skills, conviction, and spirit that will continue to drive Abria in our mission to help more women, teens, and couples make life-affirming decisions. As we welcome Koeppl, we thank Nancy Utoft, as she retires, for her dedication and exceptional work at Abria during her two-year commitment as Executive Director, from April 2017 to March 2019. Utoft has guided Abria through a time of transition, including the merger with North Side Pregnancy Options, the relocation of the Northside Clinic to a new North Minneapolis location that is more accessible to clients and aligned with the Abria brand, plus the expansion of healthy relationship education programming through Life Edge Solutions. Koeppl will work alongside Utoft for the next few months as she is officially onboarded. “I was discussing this opportunity with my husband and he just looked at me and said, ‘everything that you’ve been through and done in the past 30 years has prepared you for this role’. 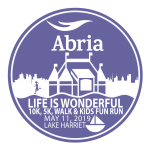 He put into words exactly how I feel: Abria’s life-affirming mission speaks to me on the deepest level and Abria’s approach aligns with my vision for empowering women in life-affirming decisions. We need to meet women where they are; reach them when they are faced with a decision and before they may even recognize themselves as a mother. We need to help women first or we can certainly not help their child,” said Koeppl. Abria could not be more confident in our choice for our next Executive Director. Koeppl will draw on her deep commitment to life-affirming service and her extensive background in business, development and human resources management to leverage our two clinic locations in the urban core and continue Abria’s outreach in the community. For the past seven years, Koeppl served as the President of Trondheim Advisory Group, LLC where she oversaw executive search and placement, candidate screening, support services for job seekers and human resources consulting. From 2006-2011, Koeppl worked as an executive recruiting consultant serving non-profit organizations in the Washington DC metro area, focused on memory care and housing for families facing medical crises. From 1999-2006, Koeppl focused her efforts on her growing family, supporting her husband through multiple military deployments and community volunteer efforts serving elders with memory loss and families with critically ill children. 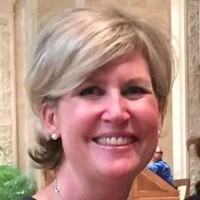 Prior to that, Koeppl played a strategic role with Kelly Services in the San Diego area, where she was responsible for business development, service delivery, customer and employee retention recruiting, placement and expense management to provide long-term onsite staffing for Hewlett Packard and Sempra Energy. Koeppl begins her work at Abria by concentrating on key strategic projects, familiarizing herself with staff, volunteers, donors, and other partners, while working closely with Nancy to ensure a seamless transition. Koeppl’s experience as executive recruiter, business owner and corporate staffing consultant serving Fortune 500 companies gives her the skills necessary to help Abria meet the needs of today’s women and the demands they face in today’s contemporary society. Koeppl’s deep dedication to empowering women and affirming life, sparked though personal experience and spiritual reflection, has shaped Koeppl’s passion to lead Abria in our life-affirming mission.